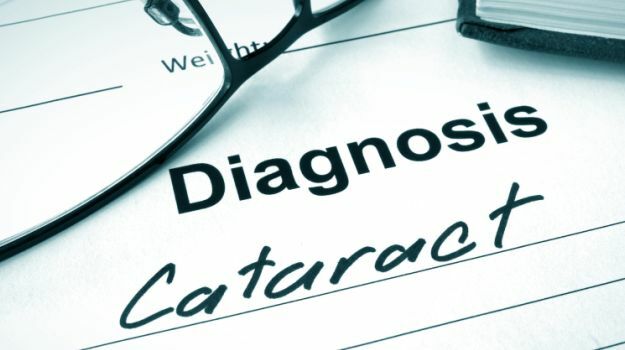 A cataract is a clouding of the lens of the eye causing a decrease in vision. Clouded vision caused by cataracts can make it more difficult to read or see the expression on a person’s face. Most cataracts develop slowly and don’t disturb your eyesight early on. But with time, cataracts will eventually interfere with your vision. A new research conducted by the All India Institute for Medical Sciences (AIIMS), Aravind Eye Hospitals and London School of Hygiene & Tropical Medicine warns that women in India who cook using fuels such as wood, crop residues, kerosene and dried dung are nearly 50 percent more likely to have cataracts than those who use clean fuels such as gas. “Our results reinforce the documented risks of biomass fuels on other health conditions in India and highlight the need for the rapid development of affordable, clean cooking fuels,” said study co-author R.D. Ravindran, the chair of the Aravind Eye Care System. The population-based study involved nearly 6,000 people aged 60 and over, from randomly chosen rural villages and small towns in India. Participants were interviewed at home on their use of cooking fuel over their adult life, and on a range of socioeconomic and lifestyle factors. After taking into account other risk factors including indicators of poor nutrition, sun exposure, smoking and chewing tobacco, the researchers found that women who cooked with biomass fuels were 46 percent more likely to have nuclear cataracts compared to those who used gas. Furthermore, the researchers found that cataracts were more likely with increasing length of time the women had used biomass fuels – from 50 percent more likely for 20 years use rising to 90 percent after 30 years. “Our study provides the strongest evidence yet of an association with adult lifetime exposure to biomass fuels and cataracts,” professor Astrid Fletcher from the London School of Hygiene & Tropical Medicine who co-ordinated the study said. “This was only found in women, probably because cooking was almost only done by women using stoves without chimneys, exposing them directly to smoke from burning biomass fuels. Unexpectedly we also found that women who cooked with kerosene were more likely to have cataracts,” Fletcher noted. Biomass cooking fuels are particularly common in India, especially in poorer communities, as they are generally cheap and easily accessible. Recent estimates suggest that 83 percent of rural households and 19 percent of urban households in India use them. However, they are typically burnt in open stoves exposing households to high levels ofhealth damaging pollutants including small respirable particulates. It is thought these may impair the eye’s defence system, accelerating the clouding of the lens leading to cataract. No Comments on "Cooking With Kerosene, Dried Dung Ups Cataract Risk in Women"